NASAHubble as seen from Discovery during its second servicing mission. 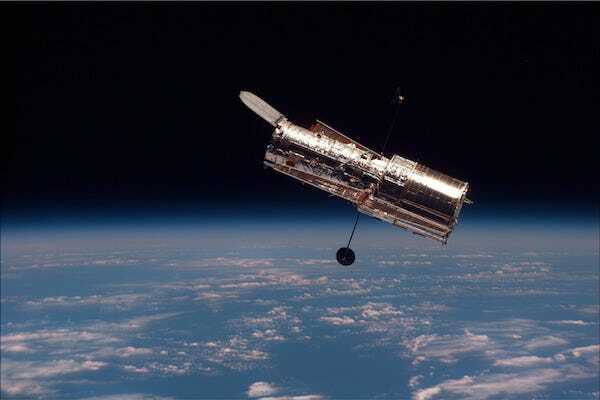 Even if you know nothing about astronomy, you’ve likely heard the name Hubble in reference to the Hubble Space Telescope. This telescope, which uses a series of high-resolution cameras to observe the visible universe, has captured the hearts of the public with its stunning images and the hearts of the scientific community with its wealth of data collected over the last 24 years. Many wonders of our universe, including the nature of dark matter, formation of stars, and atmospheric composition of exoplanets, have been observed either indirectly or directly by Hubble. Here is a series of beautiful Hubble images that also taught us something about the incredible, mysterious, and unique universe in which we live. Eric Goldschein contributed to an earlier version of this post. 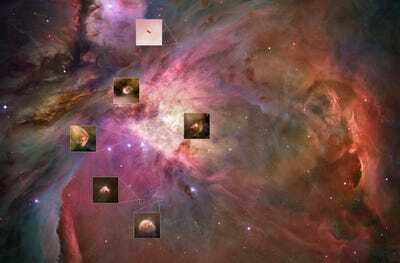 In 2006, Hubble set its sites on the mesmerising Orion Nebula and discovered 16 planets nuzzled within its beautiful confines. Before the Kepler Spacecraft launched in 2009 and began searching the galaxy for exoplanets, the number of known planets outside of our solar system was limited. This Hubble discovery was a momentous find that strongly hinted at the prevalence of planets throughout our universe. 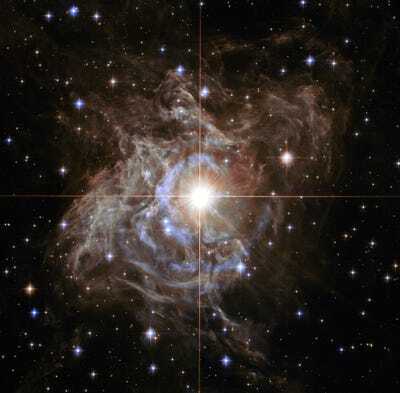 What you're seeing at the center of this Hubble image is a very important type of luminous star called a Cepheid variable. Before Hubble, astronomers had only a vague idea of the age of the universe. But by using the patterns by which these stars brighten and dim over short periods of time, astronomers obtained extremely accurate distances to these objects, which helped them pin down the 14-billion-year age of the universe. 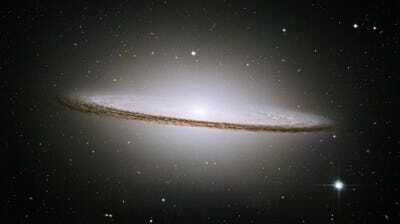 We can't see dark matter, but we know it's there thanks to Hubble. The is a real Hubble image of a galaxy cluster with false colouring superimposed on top. The false blue indicates where most of the cluster's mass is located but also where few galaxies lie. 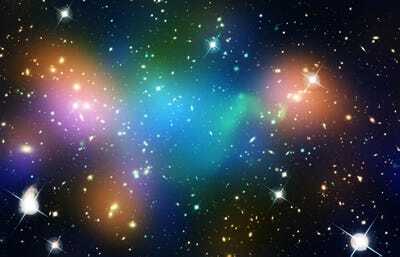 This suggests that there is a large clump of dark matter at the center of the cluster. Unlike in the previous Hubble image, the evaporating gaseous globule on the right of this one has completely detached from its host gas cloud. This is a close-up image of the Carina Nebula, and that free-floating EGG is known as the 'caterpillar.' You can see that the edges of the caterpillar are illuminated, indicating that it's cooking up some stars inside. 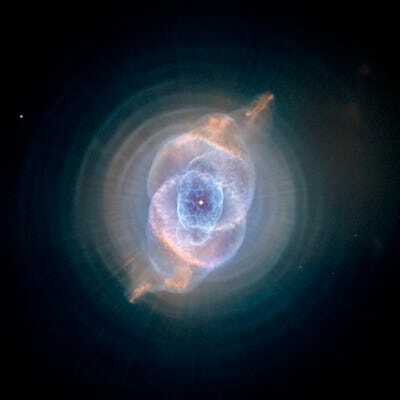 The star at the center of this Hubble image of the Cat's Eye Nebula is called a red giant star, which is what our sun will eventually become after it runs out of hydrogen to burn. As the star cools and expands, it sheds layers of gas, which is what we see here as a planetary nebula. The Space Hubble Telescope has captured numerous shots of breathtaking nebula like this one and discovered that no two are alike. Before the dawn of Hubble, throughout the 1960s, 70s, and 80s, astronomers had a suspicion about what lurked at the center of galaxies, but they needed the high-resolution power of Hubble to support their theory. We now know that at the center of every galaxy is a supermassive black hole and that the larger the size of a galaxy's central bulge, the more massive its black hole. This spectacular snapshot in time shows two galaxies in the process of merging together. 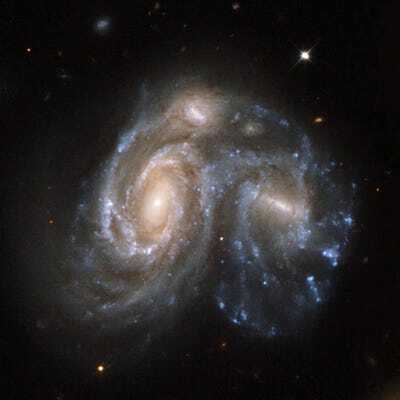 It is part of a series of 59 images released in 2008, showing different stages of galaxy merging: before, during, and after. This is one of those 59 images. Studying how galaxies form, merge, and evolve is imperative to understanding how our home galaxy, the Milky Way, formed and will continue to change with time. 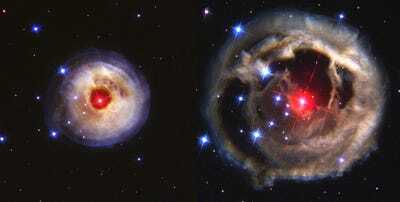 These are two Hubble images of the same object. The left image was taken on May 20, 2002 while the right image was taken over 6 months later on December, 17. In January, 2002, astronomers observed a bright light pulse -- 600,000 times brighter than our sun -- coming from a star about 20,000 light years from Earth. 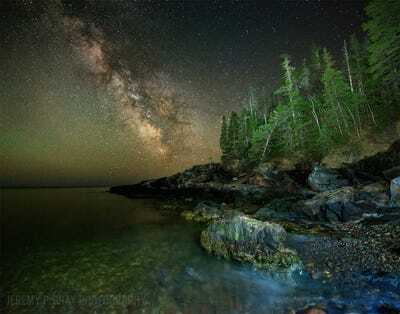 The star faded, but the light it emitted continued to travel outward, illuminating the star's surrounding nebula. The light hits the gas of the nebula and then bounces off in different directions, and some of that reflected light heads toward Earth. This phenomenon is called a light echo and is what made this famous Hubble image to the right possible. Before Hubble and Very Large Array (VLA) combined forces to create this image, astronomers thought that only elliptical galaxies could produce powerful jets of subatomic particles, like the jet indicated above in false-colour red. This was the first observation of radio jet emitted from a spiral galaxy and offered scientists new clues as to what forms these incredible flares of energy. 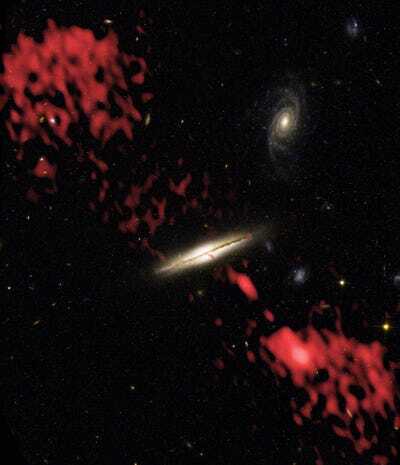 Made in 2002, the image combines a real image of the galaxy taken by Hubble with a false-colour image -- produced from VLA data -- superimposed on top. Although exoplanets are too distant and small for Hubble to photograph in any detail, what Hubble did with an exoplanet orbiting the star HD 209458, is groundbreaking. 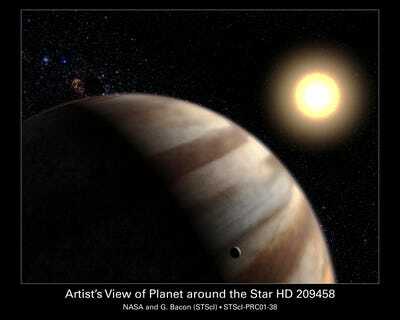 In 2001, Hubble measured the first chemical composition of an exoplanet. Above is the artistic image that NASA created to represent these findings. In 2012, scientists announced that they had discovered a fifth moon around Pluto. 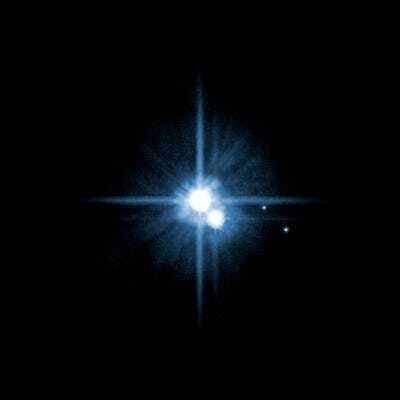 They used Hubble to find the latest, and tiniest member of Pluto's moon menagerie that is only between 10 and 25 kilometers across. In the Hubble image above, you can see three of Pluto's moons: Cheron, Nix, and Hydra. Now that you know the secrets of the universe, see our own galaxy in stunning detail.